Federal and State governing authorities have the power to quarantine an individual under the suspicion that person has Ebola and could possibly spread it to others. But what if the government is wrong? Is there redress for people held against their will? It might surprise you that your civil liberties can be subjugated for the common good. 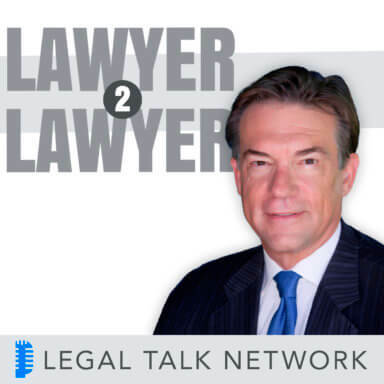 In this episode of Lawyer 2 Lawyer, hosts Bob Ambrogi and J. Craig Williams interview Gary Phelan from Mitchell & Sheahan, P.C. and Professor John Thomas from Quinnipiac University School of Law. Together they discuss balancing tests that allow both Federal and State governments to quarantine individuals as well the possible criminal and tort liabilities for people who knowingly, recklessly, or through negligence infect others. Tune in to hear more about the power given to the Executive Branch, Governmental Immunity from suit, and International Health Regulations from the World Health Organization. Gary Phelan is a shareholder at Mitchell & Sheahan, P.C. where he represents employees and employers in a wide range of matters, including disability and age discrimination, family responsibilities discrimination, wrongful termination, and severance negotiations. Mr. Phelan was recently the attorney for a Connecticut family whose little girl was not allowed to attend school for fear that she had been exposed to Ebola during her trip to a family wedding in Nigeria. The case received nationwide attention.